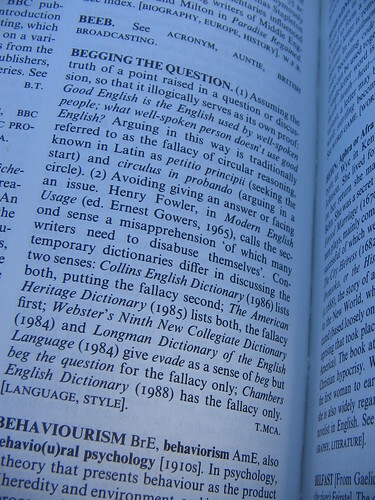 From a copy of the Oxford Companion to the English Language. I love how the entry does not even bother to mention the erroneous usage; it just presents BTQ as is, straightforwardly and simply. My pet peeve is “impacted” for “affected.” I suppose it isn’t technically wrong, but each time I hear it, I imagine a (painful) trip to the dentist. And CNN World uses “impacted” ALL THE TIME!!! !